The PIL filed by Pattandur Agrahara RWA Federation, praying that the Government be directed to protect and revive the historic Pattandur Agrahara Lake, and not change the nature of the lake at any cost, came up for hearing. The court was made aware that the government has filed a case of fraud against a private encroacher of the lake area in a different bench of the court, and an interim order was issued by the bench staying a supposed land tribunal order on the basis of which the encroacher was doing so. The court has directed the state to submit the interim order. In light of the developments, the Chief Justice asked if the PIL was required anymore. The petitioner argued that, the PIL be maintained until the state takes concrete action to save the lake, fence and protect it, and revive it, as the laxity on its part for the past decades has allowed the lake to be encroached and degenerated. The CJ concurred and adjourned the case next hearing to August 8, 2018. In another hearing held on July 2, the High Court of Karnataka accepted the state’s petition (WP 26097/2018) alleging fraud in the Pattandur Agrahara Lake encroachment issue. 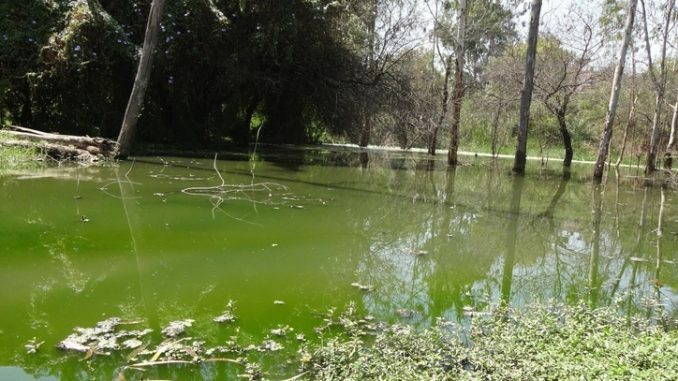 The state argued that the basic document on which the encroacher has obtained court decrees and orders to possess the lake, is a Land Tribunal Order. But the Land Tribunal has no jurisdiction to grant away a lake bed. Not only that, the copy of Tribunal order produced by the encroacher doesn’t have signatures of the issuing authority. The state also submitted proof of tampering in registers, smelling an orchestrated encroachment fraud. The judge questioned the defendant why the original land tribunal order was not submitted to court, to which he said it is not available. The Advocate General Uday Holla prayed that fraud is involved in the basic order, all subsequent orders may be appealed at any level, on the basis of the maxim ‘Fraud Vitiates All’, and all precedents. All the pleas of the defendant were dismissed on the ground that the land tribunal has never been challenged before, and all consecutive orders were based on this document. The judge also raised the question as to whether the Land Tribunal had the jurisdiction to alter the nature of the land. The judge also questioned the basis for arriving at the civil court order which declared that the lake is not a lake. The judge observed that the basis for this order was not listed anywhere. Besides the land tribunal order also states that it was a lake bed. The judge observed that under section 9 of the Inam abolition act, a lake could not be granted. And a lake bed always remains a lake bed regardless of the change in topography of the land. When the defendant pleaded that multiple sales transactions have previously taken place on this property, the learned judge observed that it was a normal modus operandi of encroachment. Even about the state not having defended or not produced evidence in courts, the judge observed that this points to an obvious possibility of orchestrated fraud through connivance. The case was adjourned to July 24th 2018, with an interim order staying the land tribunal order until further consideration. A related hearing of the Contempt of Court petition, CCC 1602/2017, which the encroacher has been using to browbeat the govt into transfering the lake, and to change the nature of the land, now hangs in suspense. The hearing of which will come up on the 12th of July 2018, in Court Hall 3.